How were the Great Pyramids built? Why were certain people turned into mummies? 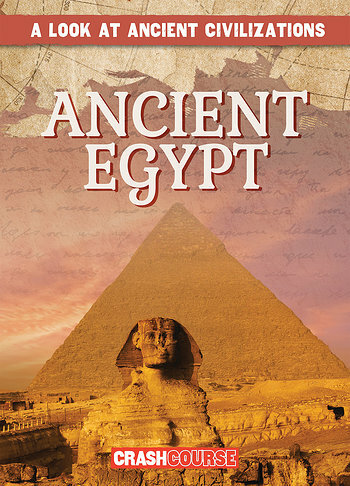 Readers journey down the Nile River into the heart of ancient Egypt and find out the answers. From the magnificent temples to the mysterious Sphinx, ancient Egypt has fascinated professional and amateur historians for centuries. Accessible text and full-color photographs guide readers through the rise and fall of one of the world's earliest civilizations. Maps, biographies of key figures, and a timeline of important dates support the text and provide additional information.